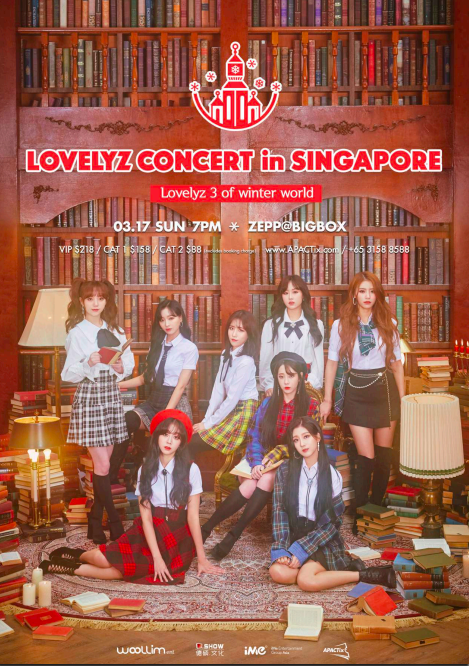 Lovelyz will be coming to Singapore to perform as part of their ‘Lovelyz 3 of winter world‘ tour! They will perform at ZEPP @ BIGBOX on March 17th at 7pm. Find the details below! Every ticket includes a fan benefit, making the concert even more worth it. Tickets can be purchased here from February 23rd at 10am SGT. Lovelyz is Woollim Entertainment‘s first girl group that was formed in 2014. ‘Candy Jelly Love‘, ‘Lost N Found‘ and ‘Now, We‘ are just a few of their hit songs that they will be performing at the concert. 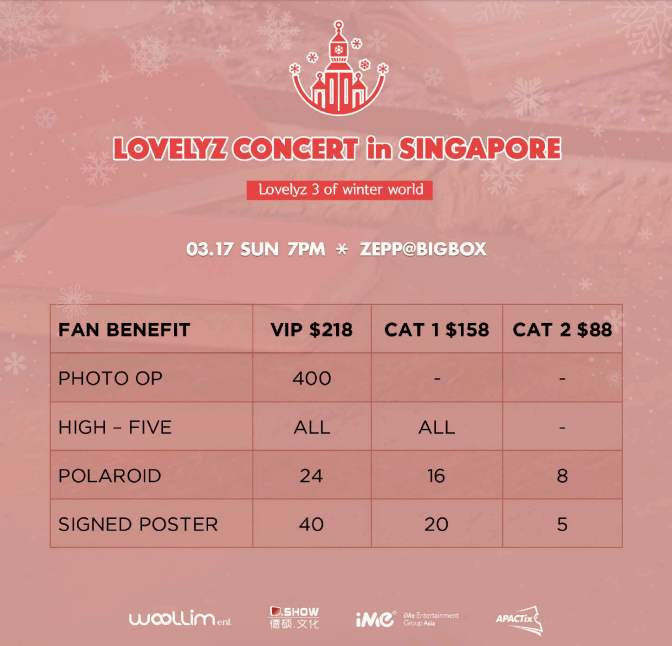 Don’t miss out on this opportunity to watch Lovelyz at their first concert ever in Singapore! 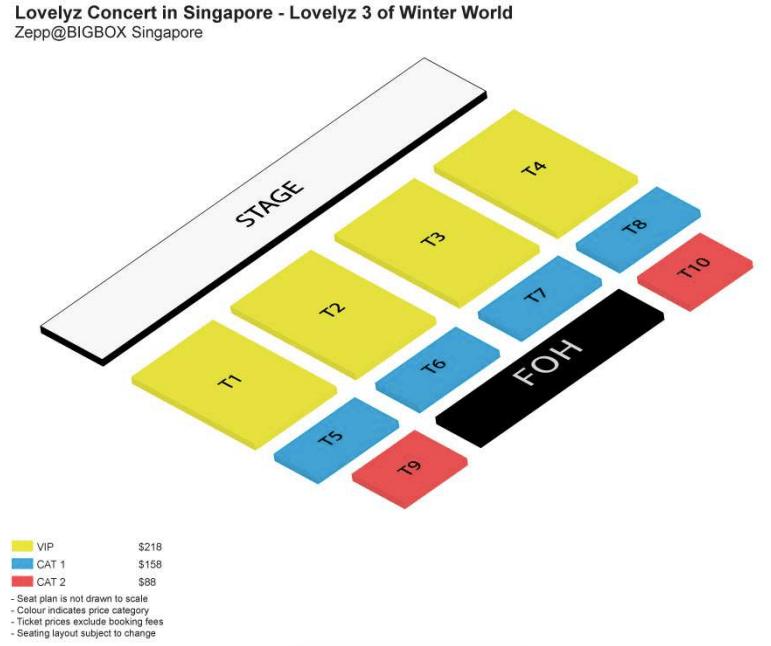 Will you be attending Lovelyz‘ concert in Singapore? Let us know in the comments below.